Columbia University New York USA, Columbia Law School on Amsterdam Avenue NYC. 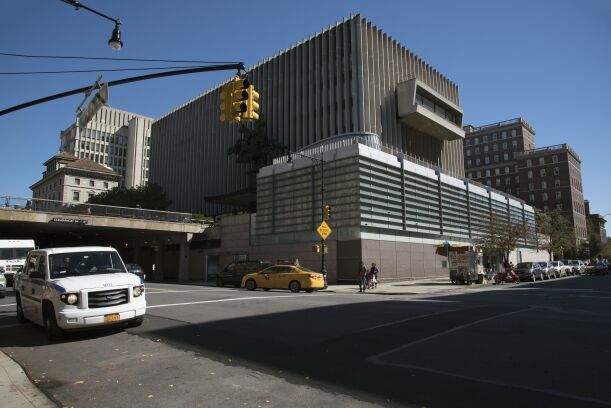 Columbia Law School may be known for preparing its graduates for jobs at Big Law firms, but it’s also taking steps to make it easier financially for students to pursue public interest and public service legal careers. The elite school announced this week that it is investing an additional $4.5 million over the next three years to expand financing and public interest programming, including fellowships for recent graduates in public interest law. Columbia already has staked out its claim as a school that produces Big Law lawyers, with almost 68 percent of its 2017 graduates moving to associate jobs at the country’s 100 largest firms. But only about five percent of the same class chose public interest law as a career. To broaden opportunities for public interest and public service, Columbia is expanding its loan repayment assistance to a level that it says will outpace elite school rivals. Law students routinely face six-figure debt repayment loads for three years of legal education, and the sticker price for law school tuition has been on an upward climb over the past decade, according to figures from Law School Transparency, an organization that tracks law school data. The average graduate borrowed $116,000 in 2017, Kyle McEntee, executive director of Law School Transparency, told Bloomberg Law. Currently more students are opting for law school following a several year precipitous drop in enrollment numbers, which thinned the ranks of both privately employed and public service lawyers. And the pay gap between private and public lawyering has continued to widen, according to the National Association for Law Placement, the group that tracks lawyer employment. Law graduates going to top firms can earn $190,000 and up as associates, but public sector lawyers start with salaries that are less than half that, according a June NALP study. Public defenders have an entry level salary of $58,300 and local prosecutors start at about $56,200, according to the NALP 2018 Public Service Attorney Salary Survey. Lawyers opting to work at public interest organizations earned even less, around $48,000, a salary level that makes it difficult to pay down accumulated school debt. “There are fewer lawyers interested in public defense,” said Ernie Lewis, executive director of the 18,000-member National Association for Public Defense. Columbia funds its loan forgiveness program, one of only a handful of law schools to do so. The other schools rely on the federal Public Service Loan Forgiveness program, which has been plagued for months over uncertainty about whether repayments went to qualified entities. Columbia Law says it will now have a more generous loan forgiveness plan than peers Yale, Harvard and Stanford. For example, Columbia is increasing its income threshold for loan forgiveness from $50,000 to $55,000 – above the $50,000 mark used at Yale and Stanford and $48,000 used at Harvard. The move will net Columbia participants $1,725 more annually, and will take effect of Feb. 1, 2019. Participants with dependent children will also be eligible for a new dependent allowance of up to $10,000 per child that can be deducted when calculating gross income. Its use could mean up to $3,450 in additional loan forgiveness for each dependent child. The effort will also create a public service bridge loan, which will provide up to $10,000 in loans to assist graduates bound for public service to cover their bar exam expenses during the summer after they graduate. Most graduates are not working and have no income during that period.